Clean my windows inside and out! We have the equipment and expertise to leave your windows sparkling clean and streak-free. Exterior window cleaning applies to ground floor windows on your property (or all windows if you have a single-storey home). Our method for cleaning windows uses minimal water. A free quote is provided for cleaning your windows, and in most cases this can be requested by phone or through our enquiry form. 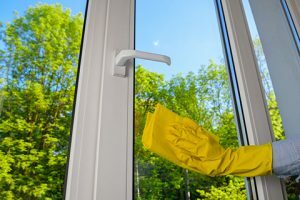 Our window cleaning service can be booked by phone, or through our enquiry form, or online using our spring clean checklist, where you will see the service listed. Also consider whether you’d like us to thoroughly clean your home, and look after your garden tasks. Christchurch city and surrounding suburbs.